A striking new style, this cross-body bag is fully crafted in the iconic Intrecciato for an seamless effect. The wide front flap entirely covers the front of the bag and features a tone on tone hand-woven outline, emphasising the contours of this essential design. Fastened with a snap button, it opens to a roomy interior compartment with a zip pocket. 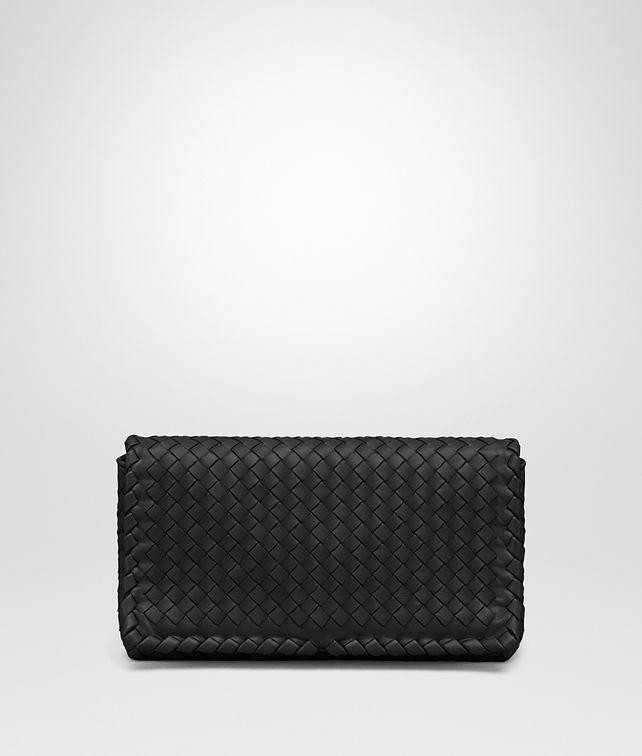 The long leather strap can be adjusted or removed, converting the bag into a sizeable clutch.